“Working with Kelly was the easiest process selling a home we’ve experienced. She is thoughtful, responsive and shoots straight. We highly recommend her.“ - Jason S.
“Kelly advised us through the sales experience and stayed true to every piece of information. Would highly recommend her services for buyers or sellers“ - Larry L.
Having lived in Dallas most of her life, Kelly Hosch has seen first-hand how the city has grown, changed and become a major center for business, arts and education over the years. To become the successful real estate agent she is today, keeping pace with that growth has been a top priority. The payoff has been clients repeatedly turn to her as a trusted resource, and more importantly, tell their friends about her. 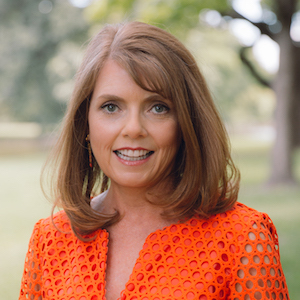 Kelly grew up in the Lake Highlands area and attended The University of Texas at Austin (BBA, Marketing). She then worked in marketing and public relations developing corporate campaigns to sell everything from consumer products to technology. She applies these years of savvy marketing, customer service and negotiating skills learned to sell homes and presenting properties at their absolute best. She is honest, has a strong work ethic and is quick to respond to client’s questions and inquiries. Outside of real estate, working with Texas Scottish Rite Hospital for Children has been a passion of Kelly’s since 2000. And as a resident of University Park with two children in the Highland Park ISD, she also enjoys being actively involved with their schools. A wonderful Austin-stone traditional in HPISD! This home features a downstairs master complete with a bonus room, ideal for a home office or nursery, along with two large walk-in closets and a bright, spacious master bath with dual vanities. The kitchen has stainless appliances, Sub-Zero refrigerator, granite countertops and a breakfast area opening to the light-filled family room with fireplace, built-ins, lots of windows and French doors leading to the backyard and patio. The formal living room with fireplace, dining room and an additional downstairs bedroom also highlight the home. Upstairs features two bedrooms, a game room, and another bonus room, perfect for an additional playroom or exercise equipment.